Now translated into Spanish by Daniel Blanco. This intriguing and ground-breaking book is the first in-depth study of the development of philosophy of science in the United States during the Cold War. 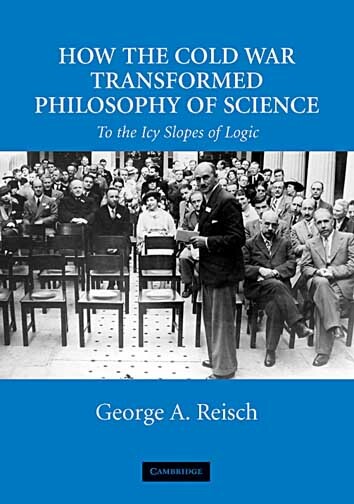 It documents the political vitality of logical empiricism and Otto Neurath’s Unity of Science movement when these projects emigrated to the United States in the 1930s and follows their depoliticization by a convergence of intellectual, cultural and political forces in the 1950s. Students of logical empiricism and the Vienna Circle often treat these as strictly intellectual nonpolitical projects. In fact, the refugee philosophers of science were highly active politically and debated questions about values inside and outside of science, as a result of which their philosophy of science was scrutinized politically both within and without the profession, by such institutions as J. Edgar Hoover’s FBI. Based on extensive archival research, this book constitutes a major chapter in American intellectual history during the Cold War. It reveals how an unlikely combination of intellectual and political forces taking root in Cold-War anticommunism shaped both the curricula of colleges and even the research undertaken by leading philosophers. It will prove absorbing reading to philosophers and historians of science, intellectual historians, and scholars of Cold War studies.